What is “Coliving” and why is it such a big deal?! Rent a room in a co-living space where you can grow, focus, find your tribe, and build your freedom! Every Monday we solve problems together. ready for your hot seat? No more living on pop-tarts while you change the world! We remember the details. laundry, bills, and your mom’s birthday. Grow your network with workshops, speaker events, and parties. We live life by design, and bring good vibes. We love winning together. Finally bought your house boat? No lease to worry about here. Who is behind this #socialflow movement?! None other than longtime entrepreneur Christine McDannell! I have had the good fortune to know Christine for many years now and have personally seen her start and sell multiple successful businesses. In her latest business, she is taking on the rental real estate space and turning it on its head! She is the founder of Kindred Quarters and the author of “The Coliving Code” and excellent new book that will teach you everything you need to get hip to this amazing way of working and living. Are you considering starting your own coliving home? Then watch this right away! 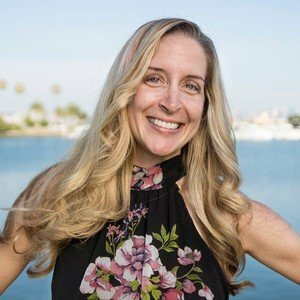 Christine McDannell is the passionate Founder of Kindred Quarters, shared housing for those who live life in common and is the Co-Founder of Luxe Car Collective, a luxury car rental company in San Diego, CA. She is a serial entrepreneur who has already owned, ran, and sold eight different companies in the past 15 years, including two six-figure exits. Christine has been honored with numerous awards through the years for her passion, including the Small Business Administration 2009 Business Person of the Year. Also, one of her companies, Cleanology, made the list for Entrepreneur Magazine’s 100 Most Brilliant Companies in 2010. She is excited to take her newest venture, Kindred Quarters, international in 2018. Aside from business, she is a car enthusiast, and loves racing motorcycles at the track, running marathons, and traveling the world. Christine has been featured nationally and locally on many news outlets, including Fox 5, The Oprah Magazine, Fox News, Entrepreneur Magazine, NBC, San Diego Union Tribune, and The San Diego Living Show.